Tapbots on Thursday released Tweetbot for Mac in the Mac App Store, though at a price higher than the company had initially intended to charge. The company says the app’s $20 fee comes due to Twitter’s increasing limitations on third-party apps. Twitter’s new restrictions have left third-party app developers scrambling to figure out how to sustain their businesses. Among the limitations is a hard cap on how many users third-party apps can support; the base limit is 100,000 users, but that number goes higher for apps that had already exceeded 100,000 users by the time Twitter implemented the cap. 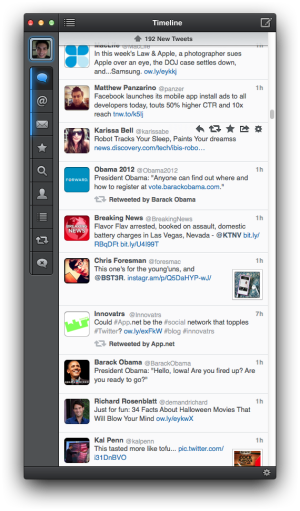 Back in August, Tapbots pulled the Tweetbot beta to avoid filling up too many of its allotted tokens with free users. The company says that Tweetbot for Mac’s limit is at least double the 100,000 default cap, but hasn’t gotten more specific than that. “We specifically picked this [$20] price point so that we could continue to support the app even if we run out of tokens,” Tapbots’s Paul Haddad told Macworld. Haddad says that the token cap and other API restrictions didn’t discourage the company from finishing up Tweetbot for Mac. “If anything,” he said, “it pushed us to get it released even faster.” He did indicate that his company has asked Twitter to raise the token cap for Tweetbot for Mac. “The answer so far is ‘no,’” he said. 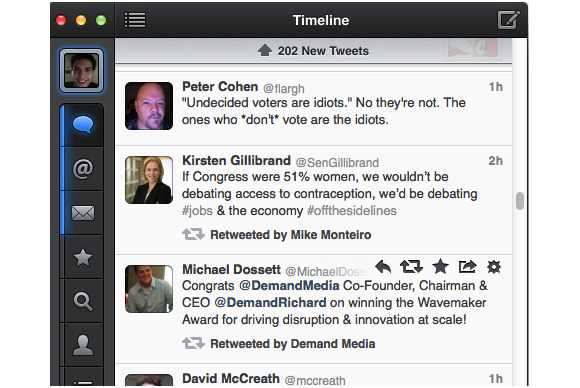 Tweetbot for Mac faithfully recreates the experience of Tweetbot’s hugely popular apps for iPhone and iPad. The interface duplicates much of what characterizes the app on iOS—down to the robot-inspired sound effects, tap-and-hold shortcuts, and deep integrations with numerous third-party services including Instapaper, Tweet Marker, and TwitPic.